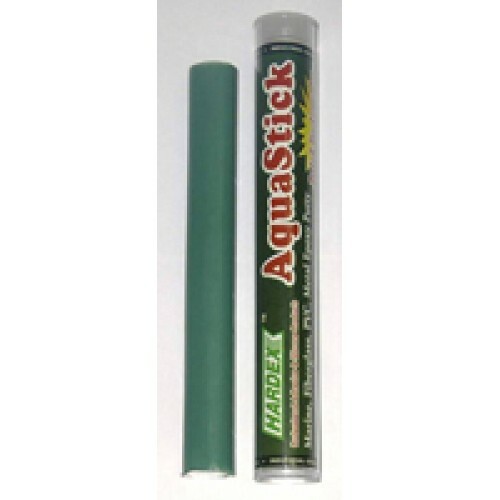 AquaStick Underwater Epoxy Compound Hardex AquaStick Underwater Epoxy Compound is a two part epoxy compound specialty to repair damp, wet and underwater application. It repairs, rebuilds and bonds to many substances such as fiberglass, metal, wood, concrete, PVC, ceramic and other materials. 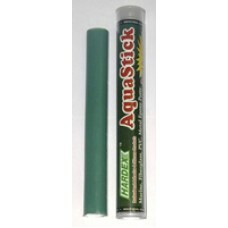 AquaStick has a work life of 15 minutes. after 16-30 minutes it will harden and bonds well. It can be drilled, tapped, machined and sanded when fully cured.